Do you know the similarity between Frankenstein, Dr. Jekyll and Mr. Hyde, and probably even Dracula? A lesser-known truth behind these popularly loved classics, apart from the fact they’re all horrors, is that they were the result of their writers’ grotesque nightmares. This brings us to the next obvious question, are people who experience nightmares more creative? If research is anything to go by, the answer is a firm “yes.” Although creativity isn’t a direct result of nightmares, experts suggest that your nightmares might make you think in a more vivid, more imaginative manner. But to understand how nightmares influence creativity, we must first understand what a nightmare exactly is. What Is Considered A Nightmare? This might seem like the most obvious, eye-rolling question, but what most of us consider to be nightmares are actually night terrors. You might have noticed that as a kid, you experienced a lot of nightmares, of which you had no recollection the next day. If you were to ask your parents about these nightmares, they’d tell you that you often screamed, cried, and couldn’t be woken up from the dream. This isn’t actually a nightmare but a night terror. 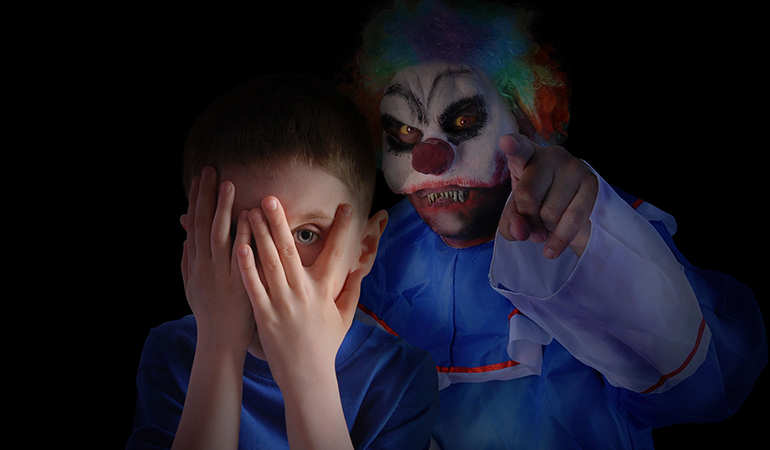 Commonly affecting children, night terrors aren’t bad dreams. They can be described as panic attacks during the sleep, resulting from a change in sleep pattern, sleep schedule, or a sleep disorder. This, however, isn’t the nightmare we’re talking about. Real nightmares are terrifying episodes that are often followed by a strong emotional reaction that can last from a few minutes to several weeks or months. Since you usually wake up right from a nightmare, the recollection of the dream is high. We know what you’re thinking. Everybody has nightmares (and not night terrors) where they’re being chased by terrifying dragons, falling into an endless abyss, or witnessing their best friend turn into a blood-hungry monster. So what sets the nightmares of the creative people apart? If you are experiencing more nightmares than the average Joe, your creativity might be influenced by it. How? Let’s find out. 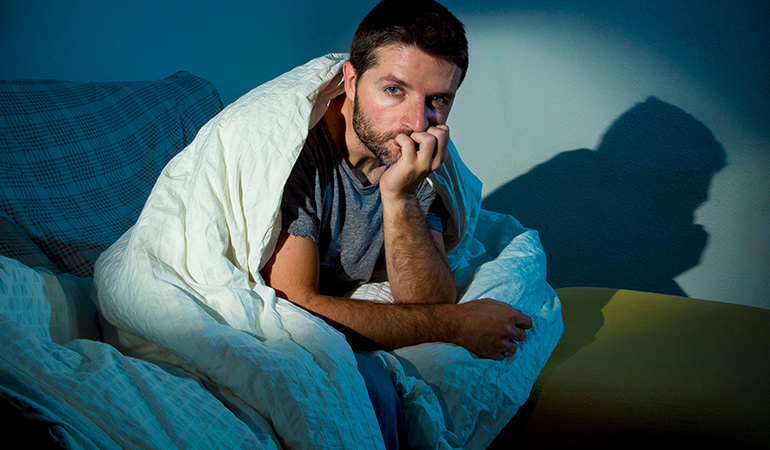 How Do Nightmares Heighten Creativity? When you keep having nightmares on a regular basis, you tend to derive creative or artistic ideas from them. One study notes that 20–28% students reported that their dreams (not limited to nightmares) gave them new insights and impacted their waking-life creativity.2 So, how do nightmares fuel creativity more than the regular dreams? When it comes to nightmares, it seems only logical that the recall rate would be high, since you usually wake up right from the middle of the dream. Plus, nightmares tend to haunt you and remain in your memory for a long time, driving you to put it down in some manner. Going back to the example of Frankenstein, a journal-entry by Mary Shelly describes haunting nature of her nightmare and how it drove her to write the book. She says, “When I placed my head upon the pillow I did not sleep, nor could I be said to think. My imagination, unbidden, possessed and guided me, gifting the successive images that arose in my mind with a vividness far beyond the usual bounds of reverie,” giving us an idea of the intensity with which her nightmare troubled her. The high recall rate of nightmares gives a dream-like quality to your waking life, forcing you to think in an out-of-the-box and creative way. 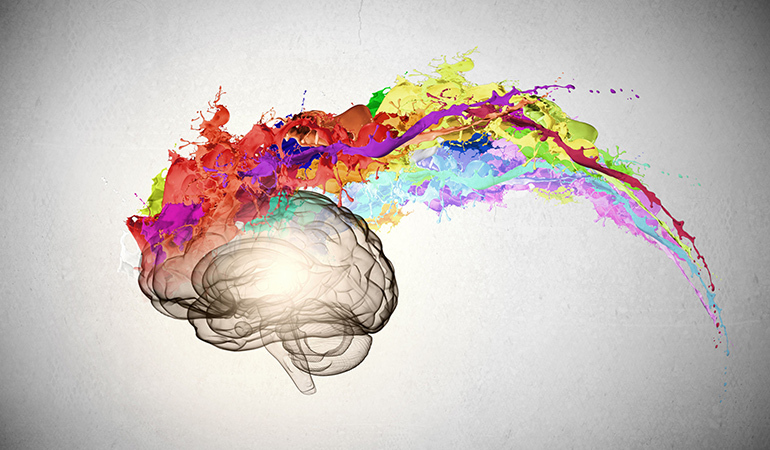 It’s generally understood that there is a positive correlation between artistic creativity and empathy, although it’s unclear how they influence each other. And nightmare sufferers, according to a 2013 study are more empathetic. They tend to show “mirror behaviors” and are more sensitive to their surroundings and people.4 This could mean that a high empathy level in nightmare-sufferers has a role to play in increasing their creativity. So, if you experience frequent nightmares and are haunted by them when you’re awake, express your terror through an art form, be it writing or painting. For all you know, the next Frankenstein could literally be the stuff of your dreams (err, your nightmares)! 1. ↑ Hasler, Brant P., and Anne Germain. “Correlates and treatments of nightmares in adults.” Sleep medicine clinics 4, no. 4 (2009): 507-517. 2. ↑ Schredl, Michael, and Daniel Erlacher. “Self-reported effects of dreams on waking-life creativity: an empirical study.” The Journal of psychology 141, no. 1 (2007): 35-46. 3. ↑ Carr, Michelle, Cloé Blanchette-Carrière, Louis-Philippe Marquis, Cher Tieng Ting, and Tore Nielsen. “Nightmare sufferers show atypical emotional semantic associations and prolonged REM sleep-dependent emotional priming.” Sleep medicine 20 (2016): 80-87. 4. ↑ Nielsen, Tore, Russell A. Powell, and Don Kuiken. “Nightmare frequency is related to a propensity for mirror behaviors.” Consciousness and cognition 22, no. 4 (2013): 1181-1188.